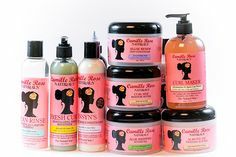 The purpose behind conditioner is to shut the cuticles (bark) of the strand of hair (tree), making the cuticles lie down near the strand and in turn create smooth, supple and manageable hair. Now I take advantage of the Dealer Joe’s Tea Tree Conditioner as my cowash and a part of my go away-in mix. My hair was moisturised while feeling smooth and detangled with lots and plenty of slip.